Debtors file for chapter 13 bankruptcy to obtain a fresh financial start by reorganizing and repaying their debts. 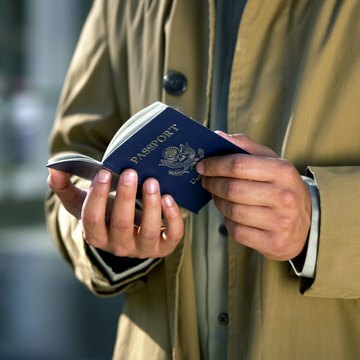 Filing for bankruptcy doesn't make you ineligible for obtaining a U.S. passport. However, falling behind in child support payments can result in the denial of your passport application. A chapter 13 bankruptcy proceeding is a popular option for debtors. It allows them to enter into a repayment plan that lasts from three to five years. Unlike in a chapter 7 bankruptcy case, debtors are not required to give up any assets. Instead, they pay as many of their debts as possible over the duration of the plan. Any debts remaining unpaid when the plan period ends are typically discharged, and the debtor is no longer responsible for them. In general, filing for, and participating in, chapter 13 bankruptcy doesn't prohibit a debtor from getting a passport. But a passport may be denied to a debtor prior to the bankruptcy filing if he is past due on child support payments. A parent with $2,500 or more in child support arrearages will be denied a U.S. passport. However, when the debtor files for chapter 13 bankruptcy, an automatic stay goes into effect prohibiting creditors from pursuing debt collection while the bankruptcy is underway. As a result, the debtor will no longer be denied a passport, at least not during the bankruptcy, unless the stay is lifted and child support services is permitted to restart its collection efforts.